Shopping for school supplies online is a great time-saving option for busy parents. Many retailers offer the products and brands your child needs to start the school year off well-prepared. There are many places online to order the items your student needs. Whether you need watercolors and safety scissors for a kindergartener or college-ruled notebooks and mechanical pencils for a high school student, you can find many options. School Specialty, an online supplier of educational items for parents and educators, has a broad range of essentials, from organizational items like binders to items for art and expression. While School Speciality sells some supplies in bulk for teachers, the store also has a good selection of products sold individually as well. Many of the items they sell have special features for durability or student use, such as the School Smart Low-Odor Dry Erase Markers (a pack of eight sells for approximately $9.00) and the School Smart Fade-Resistant Pens (around $6.00 for a pack of 12). Parents can shop according to grade level, category, brand, and other filters. The A+ Deals section offers special sale pricing on select items and brands. Shipping is free over $49.00; orders below that amount cost about $10.00 to ship. Returns are allowed if done within 30 days. 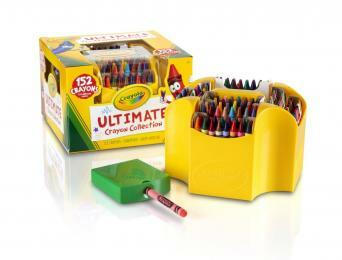 Educational Products Inc. offers a great selection of quality brands. Many items are available, from notebooks and folders to paints and crayons. They offer durable plastic folders with brads (an item often requested by teachers) in assorted colors for about $2.00 per folder and colorful book covers, another essential, for about $1.00. Items are priced similarly to brick-and-mortar retailers, and a variety of items such as scissors, glue sticks, and rulers are priced under a dollar. Shipping is free for orders over $99.00. Returns are subject to a 20 percent re-stocking fee if they are the result of customer error. Discount School Supply offers a wide variety of materials for parents and teachers. Many individual or small packages of items are available (in addition to bulk collections for classrooms). A variety of affordable items can be found here, such as sturdy art boxes for approximately $2.00 and watercolor paint sets for around $1.00. Parents can shop by category or brand. Orders over $99.00 receive free shipping. Otherwise, a shipping cost of 15 percent of the order will be applied. Any returns must be made within ten days. United Art and Education offers materials for parents, artists, and educators. This retailer offers a large range of items at fair prices, including an extensive range of art-related products. 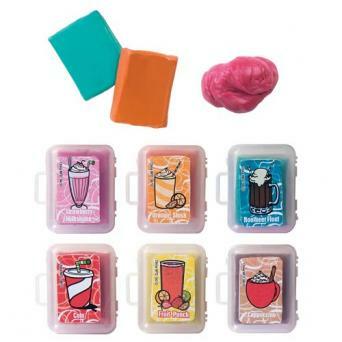 From a cute six-pack of snack-themed erasers for around $2.00 to quality sketch pads for around $5.00, there are plenty of options. The sale and closeout sections of the website also offer deals on many items. Shipping is free if your order is $99.00 or more. Shipping for orders under that price point will vary depending on the customer's preferred delivery method, but are typically around 20 percent of the order cost. Returns must be made within 30 days, and select brands may be subject to a 15 percent re-stocking fee. Although Becker's is geared towards educators, they have a nice collection of school supplies that do not need to be purchased in bulk. Along with standard items, there are also some fun choices, such as cute clear backpacks (approximately $10.00 to $30.00 depending on size) to fun scented pencils (approximately $3.00 for a set of two). Shipping costs are 15 percent of the order total, with a minimum shipping charge of $7.50. Returns need to be made within 30 days. School Tool Box is a convenient place to shop due to its simplicity. It focuses only on selling the basic items students need. Rather than searching through a huge website, it is simple to browse and select items from their streamlined categories. Parents can choose from a selection of items such as Dab 'n Stick Crafty School Glue for about $2.00, a Texas Instruments Scientific Calculator for around $20.00, and Sharpie SmearGuard Highlighters for about $5.00. Orders over $50.00 ship free and returns are accepted within 30 days from the date of purchase. Poppin, a specialty office supply store, has a wide range of products to help students stay organized. Easily shop by grade school, high school, or college. 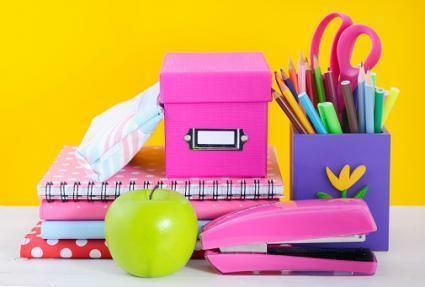 Items like notebooks, planners, locker organizers, and pencil pouches are available in unique designs and bright colors, so it's a great choice to pick up organizational items that are a bit different from big box retail stores. Since many items are creatively designed, the cost is higher. Brightly colored rulers with large numbers are sold for approximately $8.00, and pretty metallic pencil pouches for $12.00. Shipping is free over $35.00, and returns and exchanges can be made within 30 days of purchasing. Stubby Pencil Studio offers art and classroom items that are eco-friendly. Parents can purchase items like eco-friendly highlighters, bio-degradable soy crayons, recycled paper products, and pencils made from sustainably harvested wood. Many items, such as a 16 pack of soy crayons sold for around $2.00, are only slightly higher in price than their standard counterparts, but in general, items are more expensive than traditional supplies. Parents can cut costs on eco-friendly items by purchasing a supply kit - the Basic Supply Kit is sold for $25.00, and the Deluxe Kit is sold for $35.00. Shipping is based on price - approximately $5.00 for orders under $20.00, $9.00 for orders between $20.00 and $100, and free for orders over $100. Returns can be made within the first seven days after buying. Well-known for party favors and novelty items, Oriental Trading Company is also a great place to shop for items like pencils, glue, art supplies, sharpeners, paint, and erasers. Generic brands are available as well as brands often requested on supply lists such as Elmer's and Crayola. They offer many cute themes and designs at affordable prices, such as Dr. Seuss mini pencil sharpeners for approximately $7.00 for six, and silly hat pencil toppers for $5.00 per dozen. While some items are sold individually, many are sold in bulk, so this can be a good place to shop for parents who have multiple children to buy for. Shipping is based on price, starting at approximately $7.00 for orders up to $25.00. However, Oriental Trading Company often has promotions such as free shipping on orders of $49.00 or more. This online store offers a 100 percent satisfaction guarantee, and returns are allowed for any reason. A variety of companies now offer a service in which a sponsoring organization, such as a school or a school's parent-teacher organization, provides the supply lists for all grade levels and the company creates pre-packaged supply sets with the exact items on the list. These may be available for parents to order online or sold through the school. Parents should know fully customized kits are available only when their school is participating in the program. 1st Day School Supplies uses only brand name products like Crayola, Prang, Mead, and Avery. Parents search for their child's school, select the grade-level appropriate pack, order it, and it is delivered either to the home or the school depending on what was selected by the sponsoring party. EZ School Supplies also uses brand name products. Parents can search for their child's school and order online, and schools can also choose to make order forms available to parents. The company provides a ten percent rebate from purchases back to the school, so it functions as a fundraiser as well. EduKit offers pre-packaged sets with brand names and various value options for the school or organization to choose from. They will also take special requests from parents to add items to kits. Major retailers like office supply stores and department stores also offer good options for student resources. Staples' Back to School Center is easy to navigate - shop by grade level, check categories and quickly locate items, or browse visual displays for special deals and popular brands. Although they vary, Staples does offer some great deals during the back-to-school shopping season such as 25-cent rulers or 50-cent notebooks. They have a wide range of items to choose from for every grade level. Shipping is free for orders over $50.00 or over $15.00 for those who are Staples Rewards Members. Office supply items may be returned at any time in unopened condition, but electronic items can only be returned within 14 days of purchasing. A good selection of products are available at Office Depot, ranging from patterned folders and notebooks to backpacks and lunch boxes. Prices are generally affordable, and they also offer weekly deals and occasional coupons. Free shipping is available for purchases over $35.00, and returns can be made within 30 days. Walmart is a popular destination for school materials, and they offer both a variety of brand-name and generic items. Many of the deep discounts offered at the brick-and-mortar stores during the back to school shopping season are not available online. However, the online prices are still affordable. Shipping is free with an order of $50.00 or more. Depending on the item, returns may be accepted between 30 and 90 days. Like Walmart, Target offers a broad range of options, from filler paper and post-it notes to hand sanitizer and tissues. Parents can scout weekly sales to look for deals. Shipping is free for orders over $25.00, which is a bonus for parents who don't have a large number of products to buy. Returns can be made within 90 days. One of the most popular places to shop online, Amazon has numerous choices for every grade level from kindergarten to college. Parents can easily browse by grade level or category to find everything from backpacks to mechanical pencils. Shipping is free over $35.00, and returns need to be made within 30 days. Selecting the necessities your child needs for learning doesn't need to be stressful. By choosing to purchase online, parents can save time, money, and avoid the hassle of long lines and busy aisles.